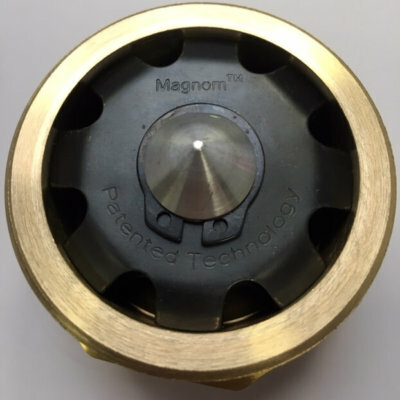 ‘Core Magnetic Technology’ designed for Heat Interface Units to eliminate magnitite contamination. The MAGNOM H2O eradicates ferrous particles (magnetite) from passing into control valves, pumps and heat exchangers. 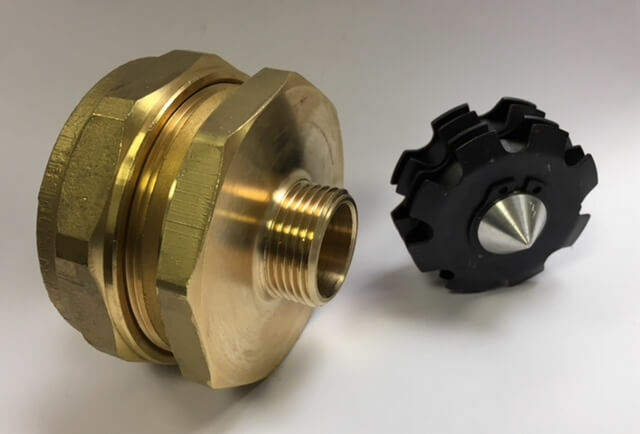 The core patented innovation extends the life expectancy and performance of these key components offering extended warranty and optimum operational efficiency of the HIU. Low cost and extends the working life expectancy on sensitive controls, valves, heat exchangers and pumps. 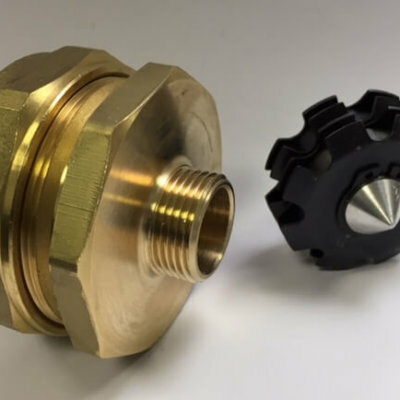 Proven engineering and supplied to Formula 1 and many other OEM equipment manufacturers. 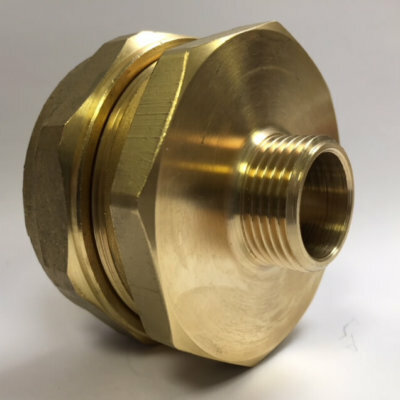 Designed to operate at pressures up to 16 bar and temperatures up to 120C. Negligible pressure drop even when full of magnetite, in-line design. Small envelope size (3/4 inch = 63 x 70 mm) and low weight. 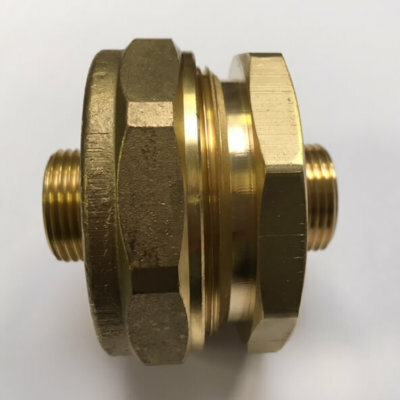 Brass body with threaded centre nut for disassembly and inspection of the core. The MAGNOM H20 core is reusable after cleaning. Large storage capacity, capable of capturing 40 times more ferrous contamination than comparable filters. Available in thread forms, male or female 1/2, 3/4, & 1 bsp, 18, 22, & 28 mm metric and Eurocone forms. 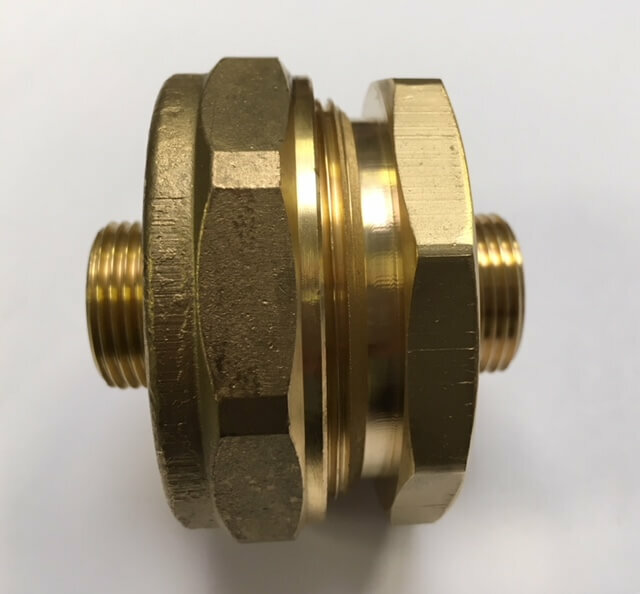 Can be supplied ‘ready coupled as an assembly’ to various types of ball valves and strainers, if required. The MAGNOM H2O is exclusively available from Heatlink. If you’d like to know more about how it could improve the quality of your system, please contact us.